Over the years I have seen many travel policies, all varied and with one overall goal: to reduce travel costs for the business. To a senior management team, that would obviously be the expectation. But my questions is, what does a $50 saving on a flight really cost your business? An extra two hours waiting at an airport lounge means two hours away from family or friends. That is an indirect cost. 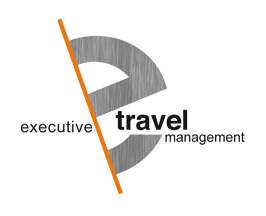 Business travel should not be a line item on the budget that needs to be monitored. The core reason for flying your staff to these meetings, pitches or training is on the basis you feel they need to be there face to face. Without adequate consideration of your employee, how well is your company represented if the person travelling despises the impact this causes to their life? Most business travellers are leaving home at 5am and not returning until 10pm on a same day return. These are long days which are energy sapping. By thinking about the traveller’s trip purpose first, you should be eliminating cost and focusing on maximising their output for that trip and beyond. How much productivity do you lose if you are forcing a traveller to live this life once or twice a week? Time, therefore, should be the overriding decision maker. What time should I book my first meeting to ensure I can perform at my peak upon arrival? How much time do I need between meetings to ensure I’m not late or puffing upon arrival? How much time can I afford to be away from my family before it impacts my work-life balance which ultimately creates resentment and tension? Travel policies need to be carefully considered to fully understand the impact time has on that one trip, but also ongoing trips. Some companies like Airly are putting that focus fairly and squarely in the face of procurement by cutting hours of business trips using the Jetshare functionality. While flying Jet may not be an option for all, there are three key focal points you can implement to your travel policies. While it would seem a company needs to maximise the time a team member spends in a location given it has already committed to the flight costs, we recommend no more than 14 hours door to door to minimize impact on that trip. Allow your team member to extend a trip before or after to explore that location ideally with their partner or family flying to meet them. This creates a positive association with business travel. Having a policy that has monthly or quarterly caps on business travel may seem like a roadblock, but it actually gives your team member a clear reference point to not only produce significant for the company, but also allows them to not feel pressured into constantly being in the air. The policy will be for them as much as it is for you saving the dollars.